This month Health Inequalities Volunteer, James Evans met with Drew Murphy, Gillian MacDonald and Natalie Joyce from Changeworks’ Affordable Warmth Team. 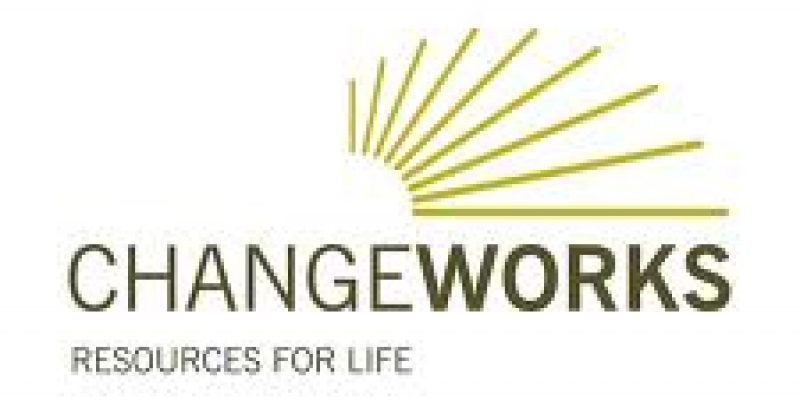 Changeworks is a considered a leader in the delivery of solutions which enable people to live and work more sustainably. They have many aims; much of it is about saving carbon however they are also involved in aiding people to live in a warm comfortable environment which in turn will improve their health. The Affordable Warmth Team is focused on tackling fuel poverty. Fuel poverty was defined by Drew as anyone that spends more than 10% of their income on gas or electric to heat their homes. Three main causes of this are low income, high energy costs and the energy efficiency of the home they are in. The main people that are supported are vulnerable people such as individuals with disabilities, families with young children and those on low income. One example which was given was that medical equipment can cost a lot to run in their homes. Items such as wheelchairs and electric beds can increase energy costs. This is where the Affordable Warmth Team can help as there are grants such as the Warm Home Discount which they help people access. The service helps to reduce the health inequalities of vulnerable individuals and allow them to stay healthy during the winter months. For Drew the main cause of health inequalities is down to the rising cost of gas and electricity. People are struggling to maintain and pay their bills. There is a lack of confidence with many of the people they support with dealing with the energy bills as well as the energy suppliers themselves as they may find this intimidating. This is where Changeworks can have an impact, by getting the clients they work with on an affordable tariff and understanding how to use their heating systems they will be able to heat their homes efficiently and improve their health and wellbeing. There will also be a decrease in stress and a reduction in their energy bills which will improve their overall wellbeing. It was suggested that Scotland is progressive when providing different grants for heating systems and for people with severe health conditions in comparisons to other counties. Grants such as the Energy Assistance Scheme for energy and heating and the Affordable Warmth Schemes are important. They allow the Affordable Warmth Team to support vulnerable individuals to apply for such grants which will reduce health inequalities. Scotland is also one of the most ambitions countries in the world in terms of climate change targets. Not all of these targets have been met but the team at Changeworks felt that it is important to be ambitious as it will lead to progressive work. This will have a positive impact upon the health of the whole population in the long run but it is important that everyone gets involved. However there is a clear sense that there should be more guidance from the government to have a stronger hand on the energy industry. It is a situation which is difficult for the Government to get involved but if they were it could have huge benefits as the industry is profit driven which has a negative impact upon many people’s lives. Changeworks and the Affordable Warmth Team are doing an excellent job in attempting to promote sustainability and help vulnerable people get more affordable power. By working 1 to 1 with clients they are able to evaluate each situation individually and therefore help them apply for the most suitable grants. They are tackling health inequalities in a different way but by seeking out the people that need their help the most they are having a profound impact on their health and wellbeing. There are many different ways in which Changeworks can help – they offer a helpline for advice on energy costs and sustainability. To get in touch with the Changeworks Team please visit their website or email them, or call on 0131 555 4010 to get more information.